Choosing a ring, whether you’re choosing your own wedding ring or are simply buying something to wear as a fashion accessory, can be exciting yet difficult in equal measure. You can remove the difficult aspects, however, by following these practical tips. Think about the reason you’re buying a ring. If you’re buying a wedding ring, for example, then you’ll want it to have different characteristics to a ring that you’re only going to wear with a certain piece of clothing. 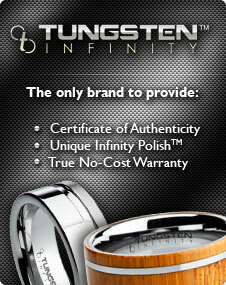 In this instance, you’ll need a strong and durable metal, such as tungsten, given its characteristics and benefits. While a tungsten ring looks great as a piece of fashion jewelry, you might not want to go for something as unique and exclusive if you’re only going to wear it once or twice a month. A ring isn’t just a piece of jewelry that sits on your hand. It has to be an extension of who you are. If you’re a naturally understated person, then having a large ring that takes over your appearance isn’t going to look too good. When shopping for a ring, look for something that reflects you perfectly. If you’re a quirky type of person, then a ring with a meteorite inlay, for example, would be a good match. If you’re a serious and to the point person then something simple yet elegant would do the job. If we wear a ring, most of us will wear it all the time. Much like you did when you thought about the reason for buying a ring, you need to think about how a new ring will fit into what you do. If you work outdoors and your hands are exposed to the elements a lot, but you don’t want to take your ring off, then you need to ensure you have something robust enough to deal with your day-to-day lifestyle. We cannot stress enough how important this is. If you don’t get the right size, your ring will be uncomfortable, potentially easy to lose, and you might have to wait a while for a ring to be altered or for you to be sent a new one. Take this out of the equation, and ensure you know your ring size before making a purchase.